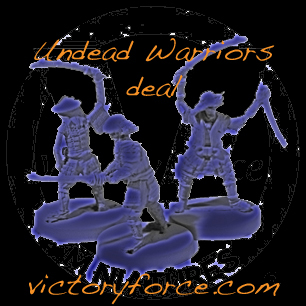 Check out the Undead Halloween Event at Victory Force. 5 Specials going on at the same time! The 50 for $50 Zombies Special! :50 randomly picked zombies from the Horde pile. All these specials are going on at the same time! You must go to the Specials page to get these deals. Click here to go now! Specials are subject to end without notice. 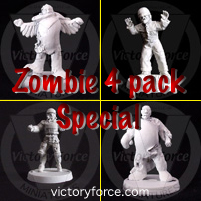 Note: This will be the last time the 50 for $50 Zombie Special will be available. The price will change after this event. Perhaps one more fig would blend in quite nicely: from the Red Reddan range the one with the axe and woodcutter mask. LOL now that one does fit into the Halloween theme.